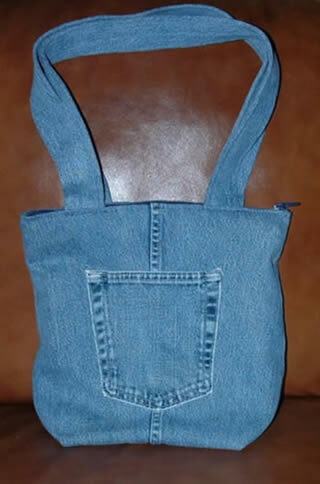 I love a great tote bag and they are one of the most popular projects for making use of recycled denim fabric from jeans, skirts or shirts. 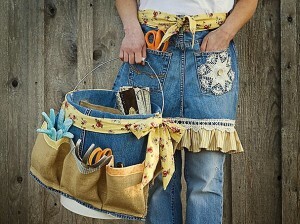 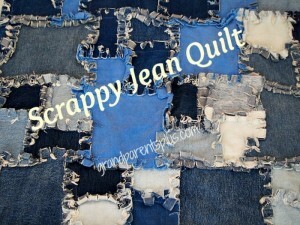 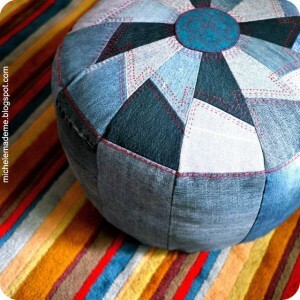 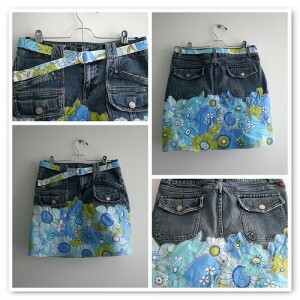 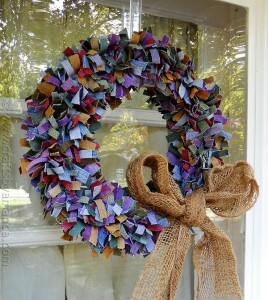 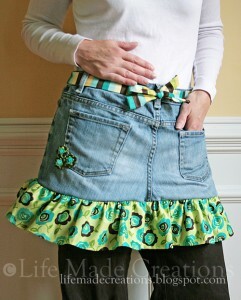 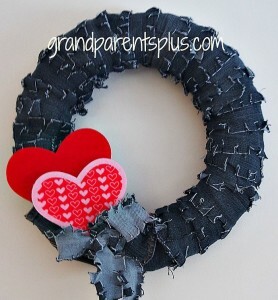 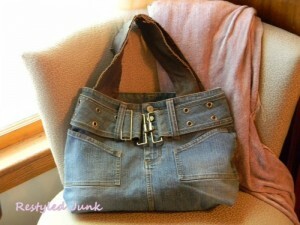 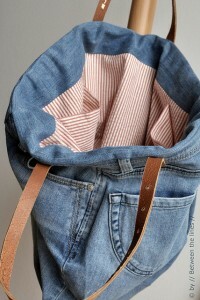 Cindy, the talented blogger behind the blog My Recycled Bags has a great tutorial for making a denim bag. 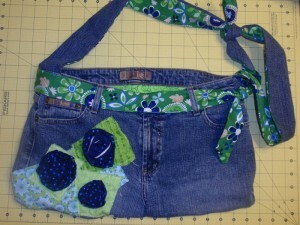 Two features of her bag that I especially like are that it’s lined and has a zipper closure. 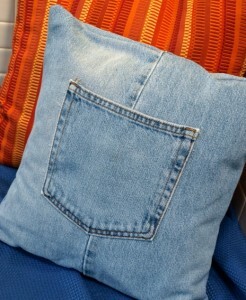 I also love the pocket on the outside. 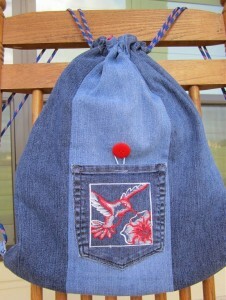 It looks like the perfect size to hold car keys or a phone, doesn’t it?